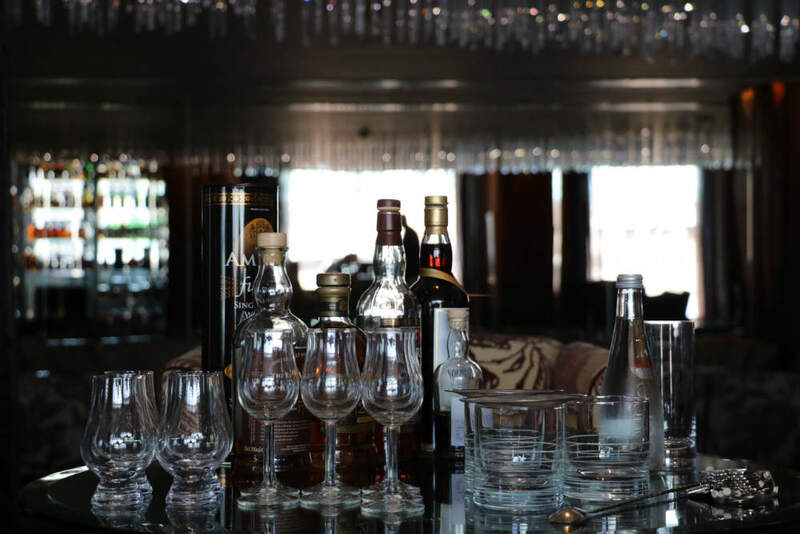 With an incredible selection that includes over 400 different whiskies, Phoenicia Hotel is as ready as ever to host the World Whisky Day in Beirut! World Whisky Day (WWD) is a worldwide celebration of whisky’s heritage, craftsmanship, diversity and kinship. It’s happening this Saturday May 20th, 2017 and Phoenicia has been selected as an official host in Lebanon. In the run-up to WWD, I was invited to a unique tasting session with Makram Salha and Patsy Christie. 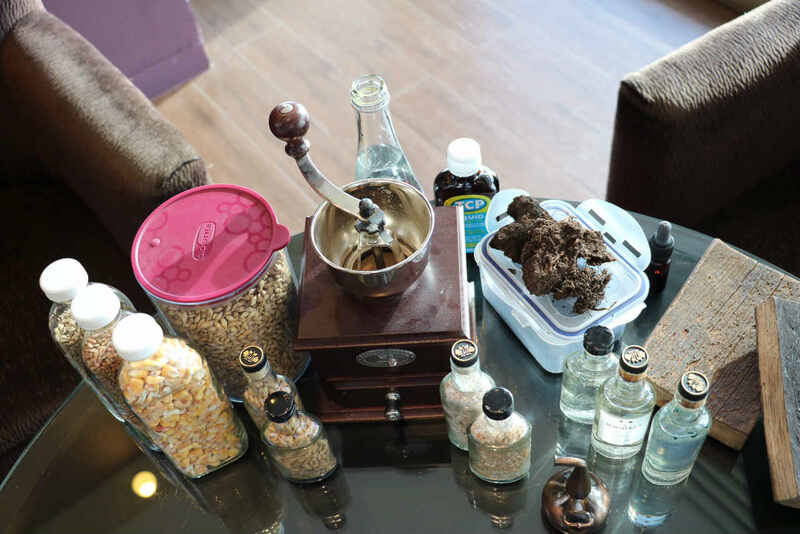 Salha is a seasoned beverage and tobacco curator who owns Vinum Ltd. and one of the largest and most impressive collections of whiskies in the Middle East. It’s quite the trip talking to Salha about his whisky collection, one he is extremely proud of and could spend hours telling you the story of each and every single bottle. I met Patsy Christie when she was The Macallan’s Middle East Brand Ambassador. Patsy teamed up with Salha and currently works as a bar advisor at Vinum Ltd. A few minutes after meeting Patsy, and you’ll be certain of her deep passion for whisky. It’s her absolute favorite spirit in the world and she enjoys sharing her experiences and ongoing love story with Scotch Whisky and single malts. What’s refreshing about Patsy is that she shares all aspects of the whisky industry with you: both what she loves, and what she hates. In short, if single malts weren’t your thing, they will be after Patsy is done with you. 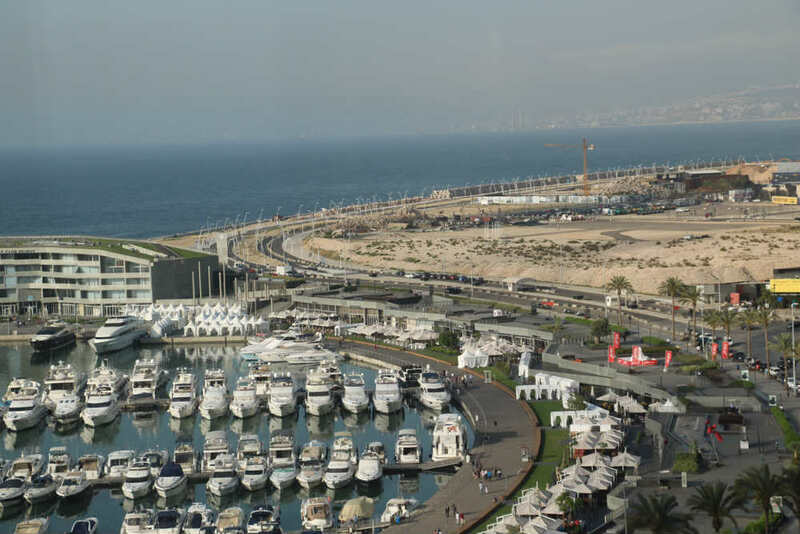 We met at Eau De Vie, on Phoenicia’s top floor, overlooking Zaitunay Bay and the St Georges Yacht Club. The evening kicked off with me being given a short session on how whisky was made, the different stages of its production and a general overview. The most important fact I took away is that barley is considered the holiest of grains when it comes to whisky. I also learned that choosing to use barley, means you’re gonna have an extra hard time making it. 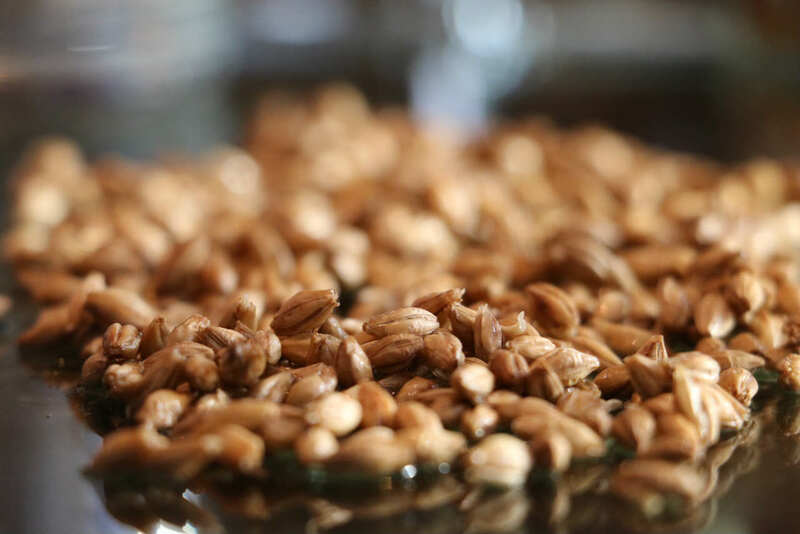 That’s because unlike other grains such as wheat, corn and rye, barley needs an extra process of malting to kick-start the germination process. Barley needs a lot of work and patience, and is a lot trickier to handle. 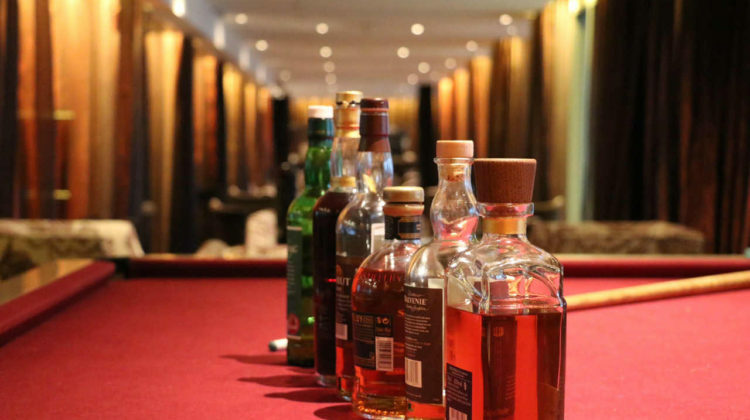 It’s the main reason why single malts are so highly revered in the world of whisky. Single malts can take up to 25 years, even more sometimes. That night though, in less than an hour, I was taken through the entire process, step-by-step, in less than hour. We used water, barley, peat, fire, a tiny coffee mill, wort and oak samples. 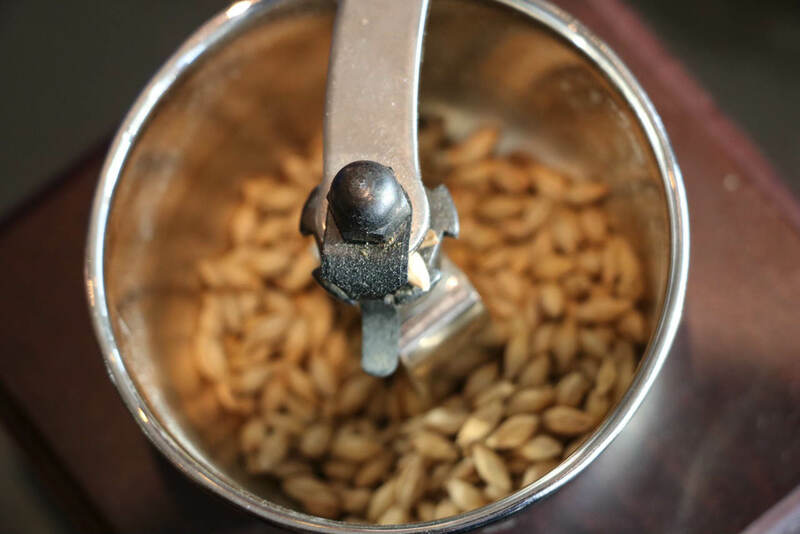 We methodically went through malting, milling, mashing, fermentation and distillation. Obviously, full maturation wasn’t part of our demonstration, given it needs special machinery and a several years. We did have two small pieces of oak casks to demonstrate how the whisky is absorbed into the oak. 1- Soak barley in water for 40-48 hours to weaken it’s tough exterior and activate enzymes to begin germination. 2- Spread the wet barley and leave it to start shooting, allowing the germination process to continue. This can take anywhere from 4-8 days depending on weather. 3- Dry the barley using large ovens called kilns, a peat fire is optional. 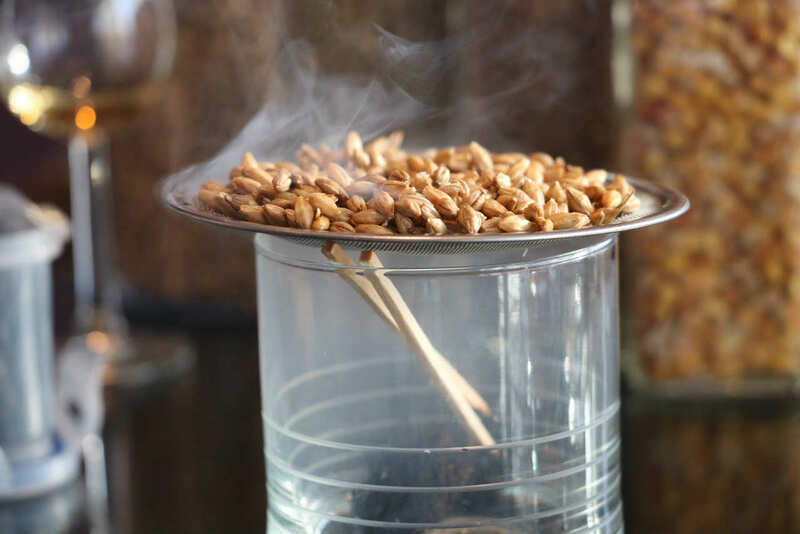 Since the barley is still wet, it will more readily absorb any smoke. It is worth noting that all whisky was peated originally but now most use coal, furnaces or large industrial machines instead. 4- Grind the barley into husky, grits and flour, exposing the sugar out. Husks and grits are essential because they help keep the mixture liquid and not doughy. 5- Add hot water to the grits. Repeat this process three times till all the sugary liquid called wort is extracted. 6- Yeast is added to the wort, and that’s when the fermentation begins. At this stage the whisky-making process is very similar to beer brewing. 7- At this point, the whisky is distilled for first time. The resulting liquid looks kinda like dirty water with tiny blueish fragments that are a by-product of the chemical reaction between cooper and sulphur. After the second distillation, the liquid starts to resemble whisky as we know it (60-70% ABV) and starts to smell like it too. Some distilleries distil 3 times instead of 2. The extra distillation is basically an added purification step and get the whisky to a higher percentage of alcohol. 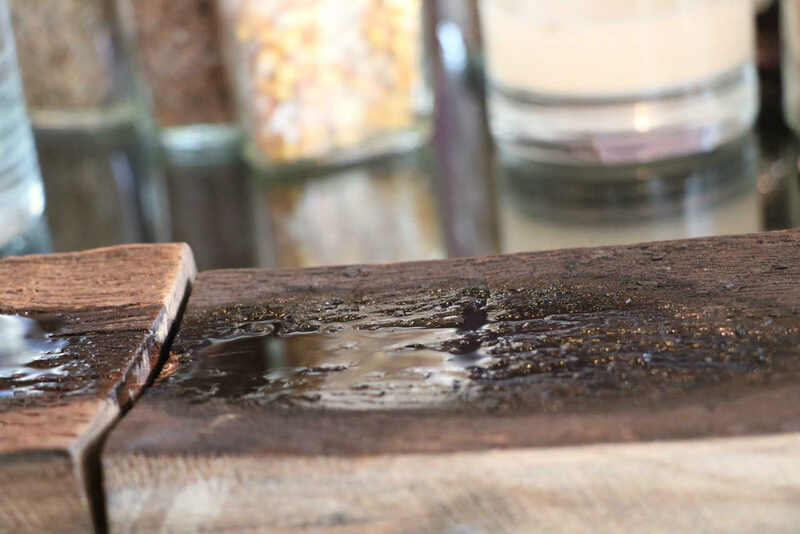 However, many people in the whisky world believe that the more you distil, even though you remove the “bad” parts, you also lose some of the “good” parts in the process. That’s why most Scotch single malts go through two distillations, unlike most Irish whiskies which are triple distilled instead of twice (and it’s spelled Whiskey in Ireland, not Whisky like in Scotland). Scots feel that the third distillation process makes the whisky lose its “umpft”. Scotch single malt is like a dirty whisky: it’s got tonnes more flavor, and as the Scotch whisky makers told me, they aren’t trying to create something perfect like in a lab. The stills used for distillation of single malt whisky are always made of copper. 8- The new make spirit is poured into an oak cask, and that’s when the romantic part begins. Casks breathe the alcohol in and out of their oak walls as the temperature and moisture raises and falls. This fluctuation is what causes the alcohol to obtain its colour and most of its flavours … turning it into the liquid gold we all love to enjoy. 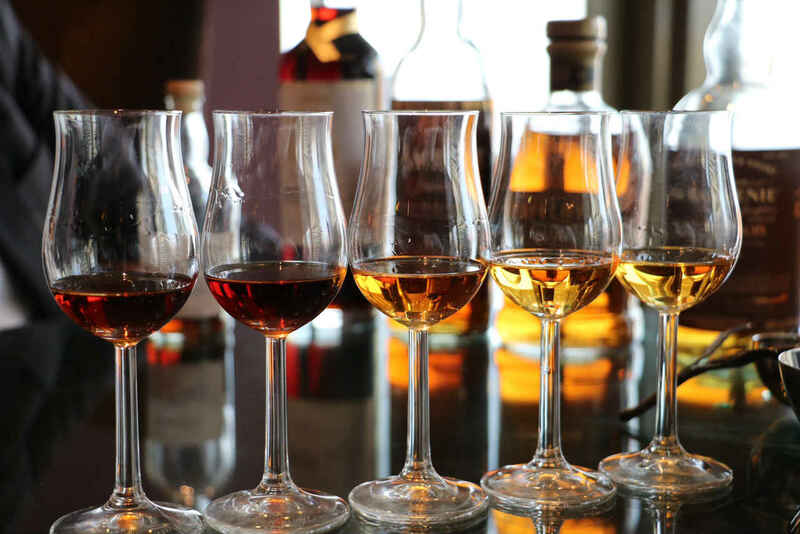 You might think that single malt whisky is complicated, but what truly matters is enjoying the whisky. Just let your taste buds guide you. Drink it neat, add a drop of water if you need to, but be cautious when adding ice or mixers as this may stunt the aromas of a rare whisky. Whisky is about pleasure. You sit, you have a glass, you either like it or you don’t. It’s a pleasure drink. That’s why, always drink it the way you feel it’s right. Whisky on the rocks is not something wrong. If you prefer it that way, then go for it. 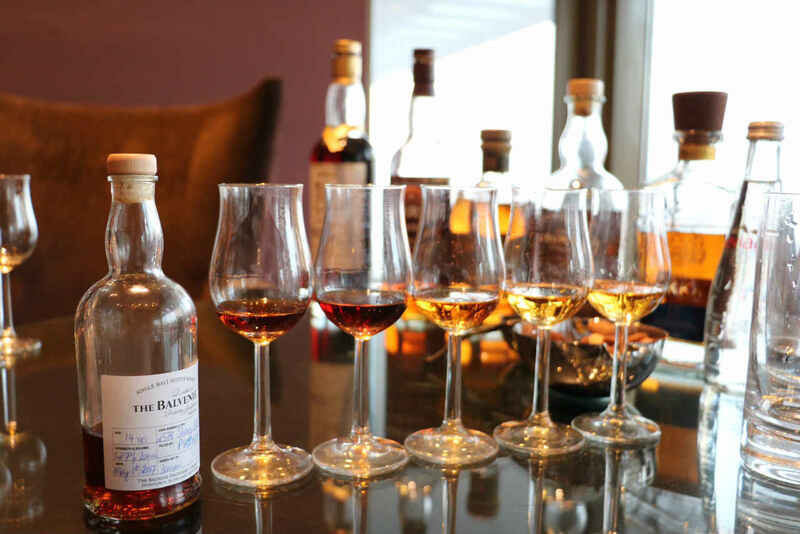 Most experts will suggest you try your whisky neat first, and slowly add one drop at a time, tasting after each drop, until you find your perfection. It’s easy to add water to whisky, but it’s quite the process to remove it … so have a gentle hand. 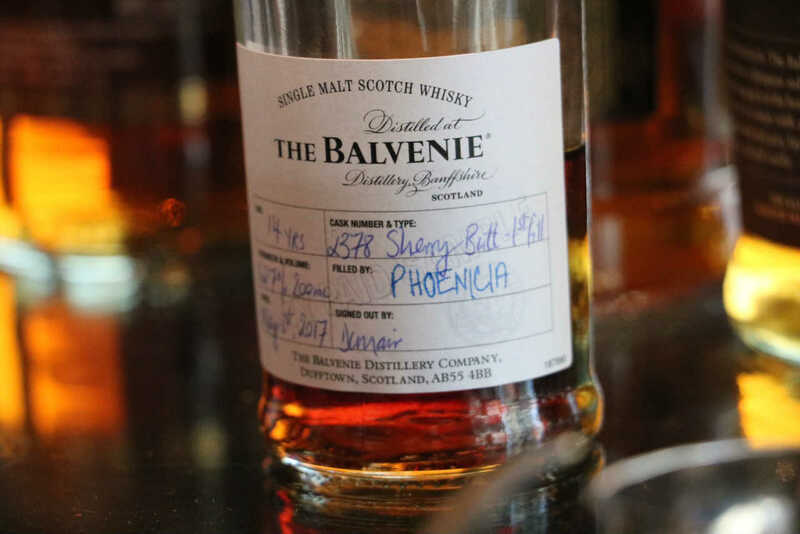 As well as The Balvenie first fill sherry oak, single cask sample that Makram & Patsy bottled themselves in the distillery’s warehouse during a recent trip to Scotland. It was quite an intriguing tasting and I got to appreciate the work behind these aged spirits a lot more. 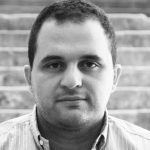 I also understand better now how the time in the oak casks turns them into something that can never be replicated exactly, and that’s the real treasure and beauty of whisky, specifically single malts. We even ranked the bottles at the end based on which we liked most. I will share my rankings below and a few comments on each bottle. 1 – The Balvenie first fill sherry oak, single cask sample: This is a truly special and quite priceless whisky that very few have had the honor of tasting. I was extremely lucky to be one of them! 2 – Aberfeldy 21 Years In Oak: Fruity, a bit spicy with a hint of smokiness at the end. 3 – Amrut Fusion: This is the first time ever I taste Indian whisky and I’m fairly certain this is as good as Indian whisky gets. Amrut Fusion is distilled from barley from Scotland and India and was named Jim Murray’s Third Finest Whisky in the World for 2010. 5 – Kavalan Solist Sherry Cask: This Taiwanese whisky was very intense and spicy with taste of molasses and coffee. It goes straight from the cask into the bottle. It’s a fairly rare whisky, and one that is not watered down at all with 57.8% alcohol content. 6 – The Nikka 12 Years Old: To be perfectly honest, I was never a big fan of Japanese whisky. I find it to be way too strong. It’s just not my kind of whisky. I don’t mind it but it’s definitely not my favorite type. All in all, it was an extremely educational and enjoyable tasting session. I’m really looking forward to the event on Saturday! The evening will start with a screening of a movie called “The Angels’ Share” that’s all about whisky and friendship, followed by sultry whisky-food pairing dinner. You can check out further info [here].